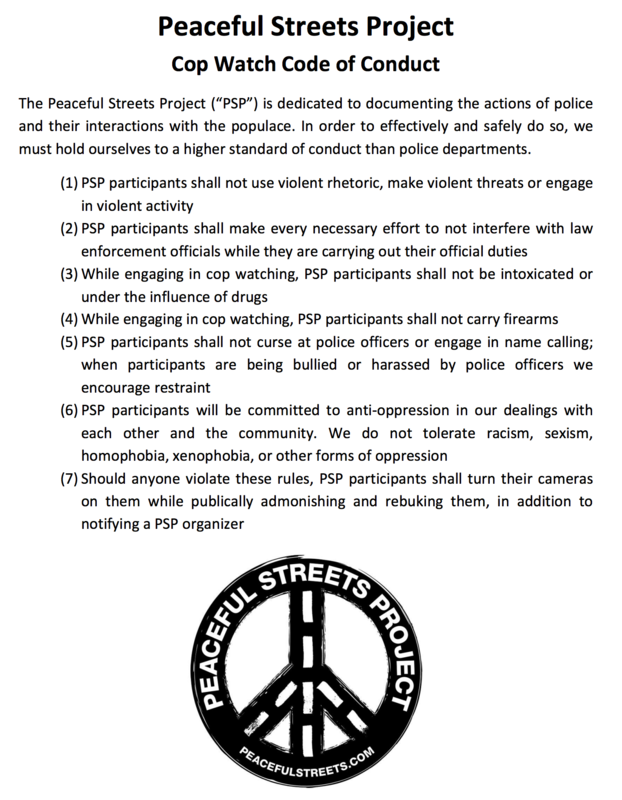 The Peaceful Streets Project has decided to update our Cop Watch Code of Conduct. 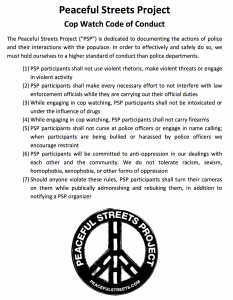 We are fully committed to anti-oppression in principle and practice. As such, we commit to being vocally anti-racist, anti-sexist, anti-homophobia, anti-xenophobia, and anti other forms of oppression. We commit to distancing ourselves from police accountability activists who choose to continue to engage in oppressive language and acts. And, knowing that we are imperfect and always need to improve ourselves, we commit to continued internal discussions, trainings, and actions to combat our own biases and shortcomings.